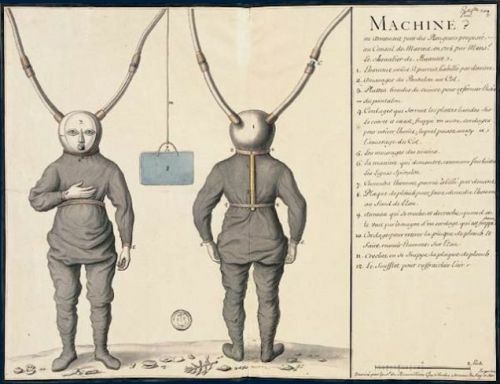 In 1715, Sir Pierre Rémy de Beauve, a French aristocrat who served as “garde de la marine” in Brest, build one of the oldest known diving dress. A metal helmet connected to two hoses would allow the diver to breathe the air pumped by a bellow at the surface through one of the hose. The other would be used for the exhaled air.